Songwriter and Musician, eShun, shared her opinion on the Government’s pledge to make French the official second language of Ghana. The songstress had a differing opinion to that of her fellow artiste Okyeame Kwame who is against the Government’s decision. So what is the buzz all about? The Minister of Foreign Affairs, Shirley Ayorkor Botchwey, announced at the 2019 La Francophonie week that the Government had decided to adopt French as Ghana’s second official language. In summary, the purpose of this decision by the Government, is according to the Minister, to bring about improved regional integration across Ghana, and most especially with Ghana’s neighbouring French-speaking nations. In a radio interview that took place last weekend, eShun, when asked about her view, said she was “excited” about the move. She elaborated by giving an example of a trip to Senegal in her capacity as a UNHCR High-Level Supporter on Statelessness where communication became challenging. French was the language being spoken and translation was not always made to her straight away, thereby making her draw the conclusion that if only she knew how to speak French, communication at the program would have been easier. She further elaborated that Ghanaians being encouraged to learn French would boost relations and business with the neighbouring Francophone countries, and that Kwame Nkrumah’s vision for a united Africa could come a step closer when there is a common language spoken among all Africans. 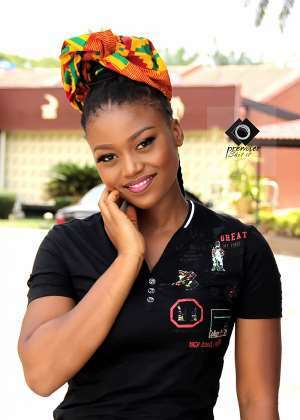 Speaking for the entertainment industry, eShun, added that it would give Ghanaian musicians an opportunity to organise and have event promoters engage their services more effectively in the Francophone countries. "It will help our business men and women do more business among the French speaking countries since communication is key to business; Actors in Ghana are possibly missing out on film roles in French-speaking countries due to the language differences." eShun suggested. The singer disagreed with Okyeame Kwame’s stance, saying that, “he goofed” this time and that with the evolution of business, technology and the ways of the world today in general, it would do better for Ghana’s future to bring in the French language. This is a conversation that is likely to continue and have many differing opinions across the Ghana.